Raised in the small rural community of Coweta, Oklahoma, Larry began to show signs of creative interest at a very young age. From rubber bands to crashed motorcycles, Larry found creative release in mediums few would ever consider.Larry studied graphic design at OSU/Okmulgee where he graduated with honors. Later, as his career in retail marketing developed, his natural abilities were honed and his unique gifts came to the surface. His ability to visualize concepts in three dimensional space, coupled with his natural talent for mixing manufacturing processes set him apart as a designer. Larry often employs these talents to find seemingly simple solutions to extremely complex creative challenges. 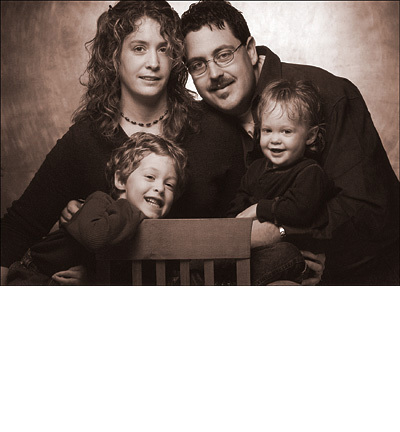 Larry, his wife JorDonna, and their two boys: Jadon and River live in Grove, Oklahoma. The Cole household band together, encouraging one another in their creative pursuits of inspired creative expression. Through his art, Larry explores textures, materials, processes, and three dimensional space. His work challenges us to find beauty in simple materials, transforming space with a consistent masculine character and architectural quality. My work is a result of an overwhelming desire to transform the space which surrounds me. It is this desire to discover both a visual and a physical harmony that drives me to redefine space.